Monofilament wigs are ideal for any women but are especially coveted for women with hair loss. The construction of these high quality wigs gives the look of real hair growing from the scalp. This makes our monofilament wigs look incredibly realistic! Hair comes out of the sheer, "see through" cap vertically, in the same direction as natural hair growth. Hair can be parted and styled in any direction, providing more styling freedom than classic wigs. Visit our Wig Resource Library for more helpful tips and advice. Monofilament wigs are the most popular type of wig for achieving a natural look. The cap is usually constructed with a nylon or polyester mesh designed to be sheer and breathable. Each strand of hair is attached vertically, so when it lays on the scalp it will naturally part. The see-through mesh blends in with your scalp for a seamless and natural look. Monofilament wigs are a great option for everyone because they can be for full coverage and varying degrees of hair loss. Our high quality wigs are available in countless styles, with real human hair or synthetic hair. Monofilament wigs are known for their breathability and light-weight comfort, making them a great choice for any kind of wig user. You can read our comprehensive guide about the different types of wig construction for more help choosing a wig. If you have any questions about our monofilament wigs or would like to learn more, please contact Headcovers at 1-800-264-HATS. These quality wigs are an excellent choice for cancer patients experiencing hair loss because the cap is designed for maximum comfort. This is especially important for people with sensitive scalps, or who are not used to wearing a wig. We offer monofilament wigs in hundreds of styles and hair colors so there is a perfect match for everyone. Our high-quality wigs are also available with synthetic hair, which can be a very low-maintenance option for people undergoing exhausting treatments. If you’re interested in a mono top wig, please reach out for a complimentary color and style consultation today. Headcovers offers a large variety of monofilament wigs because they are our most popular wig type! The two main categories are synthetic hair vs. human hair. The benefits of synthetic hair include low-maintenance care, endless color options, and usually a bit of savings for your wallet. However, human hair is a popular choice amongst experienced wig-wearers because you have more freedom to style the wig (using heat tools or dye), although they require a bit more care to wash and detangle. We also offer quality wigs designed for varying levels of hair loss, including thinning part, thinning crown, thinning top, and full coverage. Make sure to use the filters on the side to help narrow down your search by style, brand, or length. 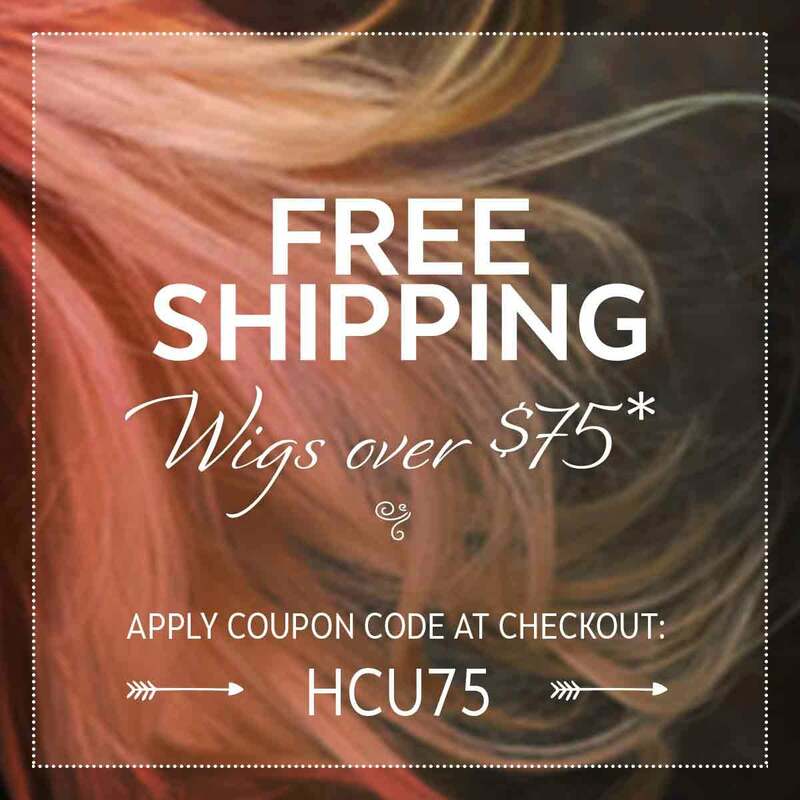 With over 500 styles of high quality wigs to choose from, Headcovers has the perfect monofilament wig to fit your needs. We offer a wide variety of hair cuts, textures, lengths, and colors. Take a look a few of our high-rated monofilament wigs for some inspiration! This short boy cut style can be smoothed down or spiked out with easy finger styling. This wig has a monofilament top, allowing the part of the wig to be changed so it looks natural no matter how it is styled. This gently layered, shoulder length wig is offered in a variety of beautiful brunette, blonde, and auburn colors. The lace front allows for optional off the face styling and a natural hairline. This long, flowing monofilament wig is designed to fall naturally with body and movement. Gorgeous face-framing locks can be pulled back for a variety of styles because of the lace front invisible hairline. Headcovers is dedicated to providing the best high quality wigs and head coverings. With over 25 years of experience serving our customers, we make sure each person is confident and comfortable wearing our pieces.